We will pick you up from the hotel in Dahab by midnight to watch the sunrise over Sinai desert on a memorable visit to the site where Moses received the ten Commandments. 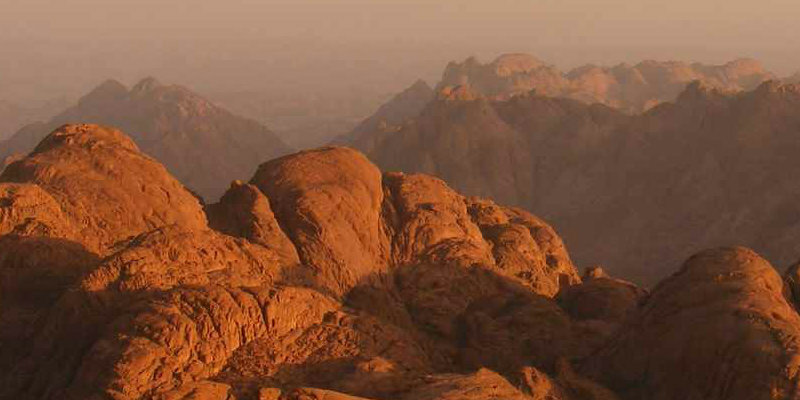 Arrive to the foot of Moses Mountain by 2 Am to start the climbing trip with your Bedouin local guide retracing the footsteps of Moses when he climbed the same mountain talking to god and to deliver his Commandments. The way is not too steep but there will be about 500 steps close to the summit, in the way back you will stop for a sightseeing journey in St. Catherine Monastery. It has been established between 527 & 565 A.D around the site of the biblical Burning Bush. During your tour you will wander the Greek Orthodox Church, worship icons & the famous Mosaic of Transfiguration. You will get your breakfast meal in local restaurant near the monastery then transfer back to Dahab hotel.